Khorrami, M., Najafpour, G., Younesi, H., Amini, G. (2011). Growth Kinetics and Demineralization of Shrimp Shell Using Lactobacillus plantarum PTCC 1058 on Various Carbon Sources. 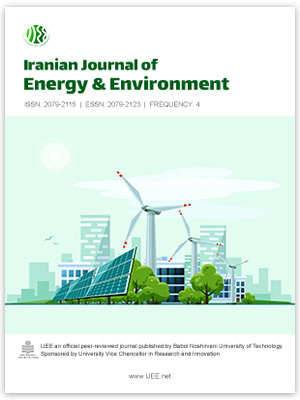 Iranian Journal of Energy and Environment; previously called: Iranica Journal of Energy & Environment, 2(4), -. M. Khorrami; G.D. Najafpour; H. Younesi; G.H. Amini. "Growth Kinetics and Demineralization of Shrimp Shell Using Lactobacillus plantarum PTCC 1058 on Various Carbon Sources". Iranian Journal of Energy and Environment; previously called: Iranica Journal of Energy & Environment, 2, 4, 2011, -. Khorrami, M., Najafpour, G., Younesi, H., Amini, G. (2011). 'Growth Kinetics and Demineralization of Shrimp Shell Using Lactobacillus plantarum PTCC 1058 on Various Carbon Sources', Iranian Journal of Energy and Environment; previously called: Iranica Journal of Energy & Environment, 2(4), pp. -. Khorrami, M., Najafpour, G., Younesi, H., Amini, G. Growth Kinetics and Demineralization of Shrimp Shell Using Lactobacillus plantarum PTCC 1058 on Various Carbon Sources. Iranian Journal of Energy and Environment; previously called: Iranica Journal of Energy & Environment, 2011; 2(4): -.